Super-realistic looking 'sponge' tennis balls made by none other than Alan Wong. 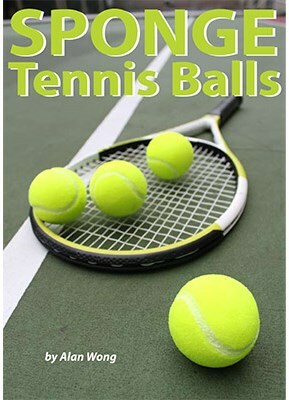 These sponge tennis balls bounce off a tennis racket just like real ones. However, due to the fact that they're sponge, you can produce them, vanish them, multiply them, throw them out for gags and even use them for final loads under cups and balls - and as many as you can fit in! Set comes complete with four sponge tennis balls. If you're looking for something a bit different to your standard sponge ball routine, look no further!